The J. League season is only six games old, but already there is a familiar look about both the top and bottom of the table. Urawa Reds lead by a point from the team that overtook them at the death to win the title last season — Gamba Osaka — while Sagan Tosu, Kawasaki Frontale and FC Tokyo are all going strong behind them. Reds have not always looked comfortable dealing with the pressure of being in first place in recent years, but the way the team has responded to last year’s collapse suggests a stronger mentality this time round. Saturday’s 2-1 comeback win over Yokohama F. Marinos leaves Urawa with the division’s only unbeaten record, and manager Mihailo Petrovic believes his team has found a new maturity. 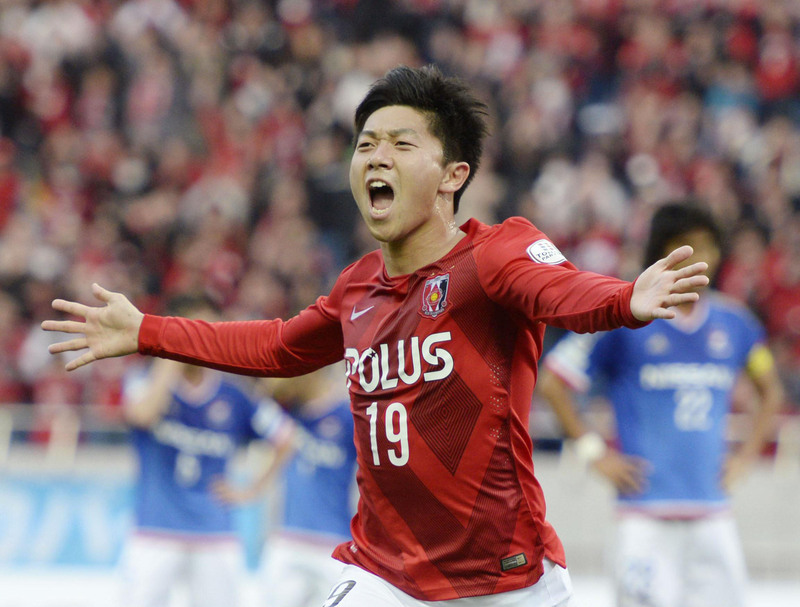 Gamba exploited Urawa’s impetuousness brilliantly to seize the title initiative when the two teams met late last season, and after a slow start, the champions are again building momentum. Saturday’s 2-0 victory over Shonan Bellmare was Gamba’s fourth straight win, and with star forward Takashi Usami racking up seven goals already, the signs are looking good. Tosu, Frontale and Tokyo have also benefited from the presence of prolific strikers, with Tosu’s Yohei Toyoda scoring four goals, Tokyo’s Yoshinori Muto bagging five, and Frontale’s Yoshito Okubo looking in the mood to claim a third-straight Golden Boot with five goals to his name already. At the other end of the table, bottom three Ventforet Kofu, Montedio Yamagata and Shimizu S-Pulse will be hoping that the current standings are not an accurate indication of things to come. The fact that every team in the division had picked up a win by the end of the fifth round suggests that this year’s survival race could be tighter than in recent years, although four straight defeats for both S-Pulse and Ventforet are certainly reason enough to be worried. With the first stage already a third of the way through, time to make headway at either end of the table is scarcer than it may seem. Nagoya Grampus are climbing the table, and national team manager Vahid Halilhodzic must be watching on with approval. Halilhodzic chose Grampus strikers Kengo Kawamata and Kensuke Nagai to start his first match in charge of the Samurai Blue last month against Tunisia, and the pair have been in prolific form in recent weeks. Both Nagai and Kawamata scored in Nagoya’s 3-1 win over Shimizu S-Pulse on Saturday, to add to the goal that Kawamata — who also opened his international account against Uzbekistan last month — notched against Sanfrecce Hiroshima the previous weekend. Montedio Yamagata may have found a new weapon in their bid for first-division survival — a miniature cannon. “I think he might call me,” the younger Takagi said of his father, who scored 27 goals in 44 international appearances and currently manages J2 side V-Varen Nagasaki, after Saturday’s 0-0 draw with Matsumoto Yamaga. — Vissel Kobe manager Nelsinho sees divine intervention in his team’s second-half comeback in Saturday’s 2-2 draw with Albirex Niigata.